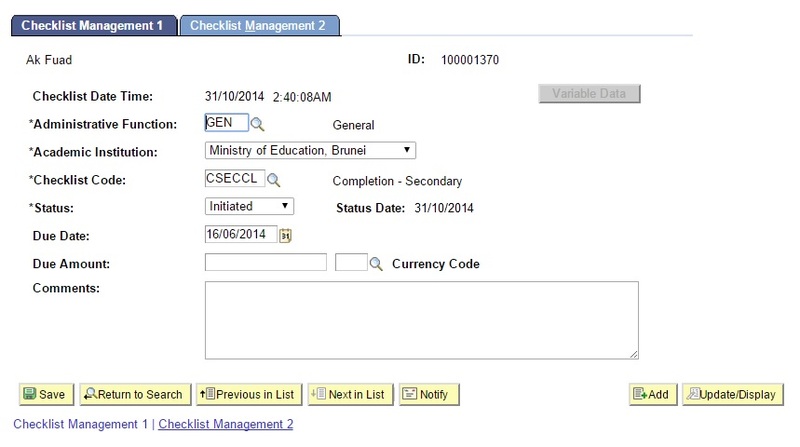 This function allows the users to view the created Clearance Checklist for each individual student. Navigate to Main Menu > Campus Community > Checklists > Person Checklist > Checklist Management – Person. Click on the ID lookup icon and search for the student that has a Clearance Checklist. 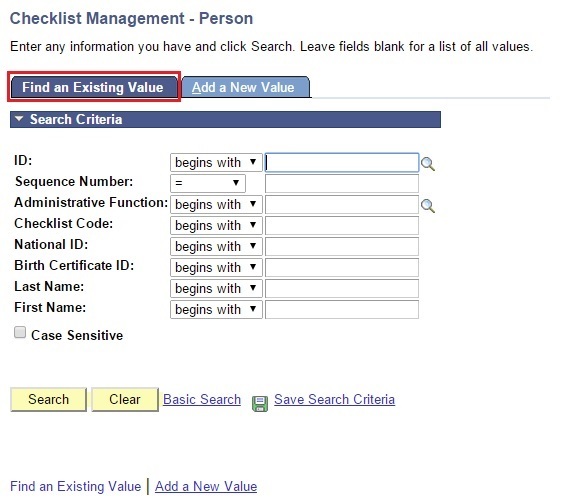 User will be directed to the Checklist Management – Person page. Click on the Checklist Management 1 tab to check the student's checklist information. 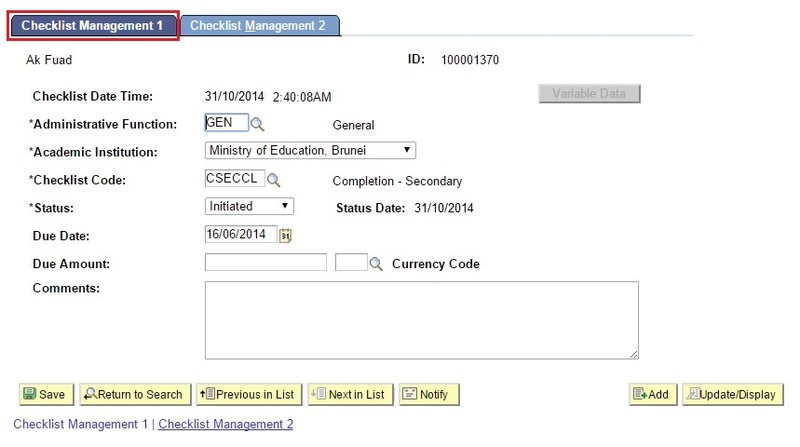 The Clearance Checklist created will display the Date/Time it was created as well as the Checklist Code. For Transfer and Withdrawn Students, when the Clearance Checklist is created, the Comments field will contain the Request Nbr of the Completed Request. 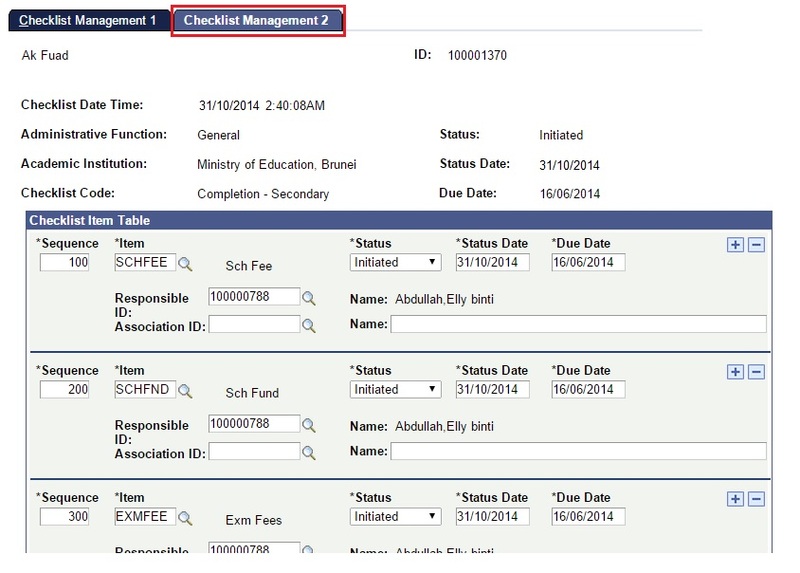 Click on the Checklist Management 2 tab. The user will see the list(s) of the Clearance Items in this page which has to be completed.